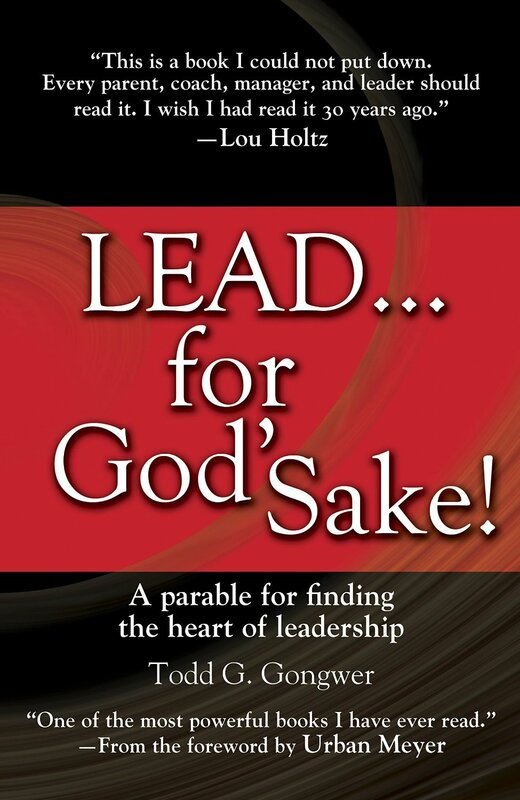 The introduction of this book, written as a parable similar to Patrick Lencioni’s books, is written by Urban Meyer the coach of the National Champion Ohio State football team. He writes: LEAD . . . for God’s Sake! was one of the most powerful books I have ever read. It gave me an instant jolt of energy and reignited a passion within me to live and lead from my true purpose in life—with relationships at the foundation of all of my pursuits. The book centers on one of the most successful coaches in Kentucky high school basketball history, Coach Steve Rocker, who was already a legend in the state. He has a friend Grant, a CEO of a business. They have a flawed view of leadership, thinking that the only two ways to motivate people are fear and rewards. The author uses a stick figure drawing throughout the book. It initially starts with a depiction of fear and rewards. Both of these men have their identity in their vocations, while ignoring their families. Grant’s wife has already left him and Steve’s is probably not far behind. Steve’s team is expected to win the state championship, but they are off to a slow start. Grant’s business is also struggling. Steve uses fear to berate his team, especially the seniors on the team; however, things only get worse. Steve eventually begins conversations with Joe Taylor, the school janitor. Joe has much wisdom and the respect of many students in the school. Joe tells the coach that things are tough right now, but there is a reason for everything, something he repeats more than once. Joe encourages Steve to lead from the heart, rather than leading in the manner he has been doing. He also brings in his faith and God’s way of leading. Steve has no interest in religion, despite the fact that his family attends church each week. The book takes Steve and his team throughout their season. During this time, Steve begins spending more and more time with the mysterious Joe. This book was interesting and contained some excellent messages about life, family and leadership.